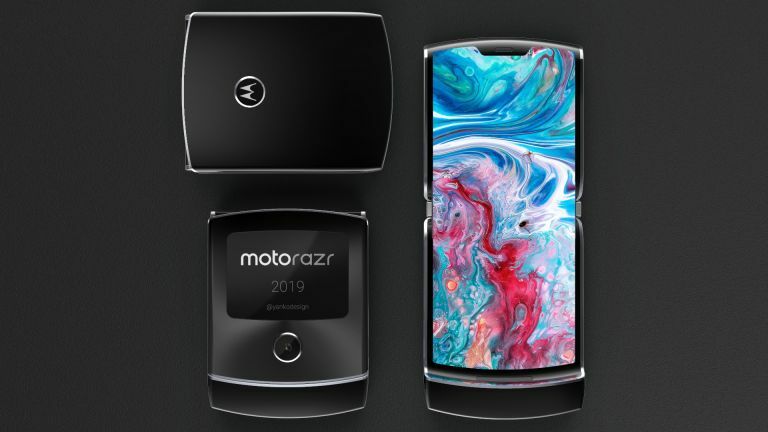 The long-rumoured, folding Motorola Razr reboot has been confirmed by an official Bluetooth certification body listing, ending months of speculation about the device, which looks set to compete with other recent foldables, including the Samsung Galaxy Fold and Huawei Mate X. The listing, as reported by XDA Developers, surfaced on the Launch Studio platform run by the Bluetooth certification body, and confirms the folding phone will indeed be called "motorala razr" and that it will feature Bluetooth 5.0 technology. The reveal comes weeks after Motorola Vice President of Global Product Dan Dery teased that the manufacturer had "started to work on foldables a long time ago, and we have been doing a lot of iteration", and that the reboot of the iconic folding phone will feature never-before-seen software features. As regular readers of T3 will know, we began reporting on industry whispers that Motorola was planning on bringing back the Razr folding phone as early as May 2016, which eventually developed into the explosive revelation back in January that the phone was indeed returning, and would likely cost around $1,500 (£1,200). In terms of what the new Motorola Razr folding phone will look like, illustrations of the pliable device originally filed with a Motorola patent surfaced in January. These were soon followed-up by some stunning 3D rendered concept images in February. No official images have yet been forthcoming, though. As to when we can expect to see the all-new Motorola Razr, that's also currently unknown, although the maker has confirmed that it has "no intention of coming later than everybody else in the market." Given that Samsung and Huawei are due to launch their respective foldable phones within the next six months, we can't imagine we'll be waiting too long for the new Razr, if Motorola wants to keep to that pledge. Specs-wise, a recent report has pegged the rebooted Motorola Razr to come in two flavours, one loaded with a Qualcomm Snapdragon 710 system-on-a-chip coupled with 4GB of RAM and 64GB of storage, and another upgrading the RAM and storage to 6GB and 128GB respectively. It is still unclear if the Motorola Razr will be a 5G phone or not, however rumours currently say it will deliver two screens, one with a 6.2-inch OLED panel (876 x 2142), and a second 600 x 800 resolution display that is unknown in terms of size. So, with this official name confirmation, we really are starting to build a very complete picture of the handset at least on paper. Here's hoping we get an official reveal from Motorola soon, with official images showing the handset off in all its folding phone glory.